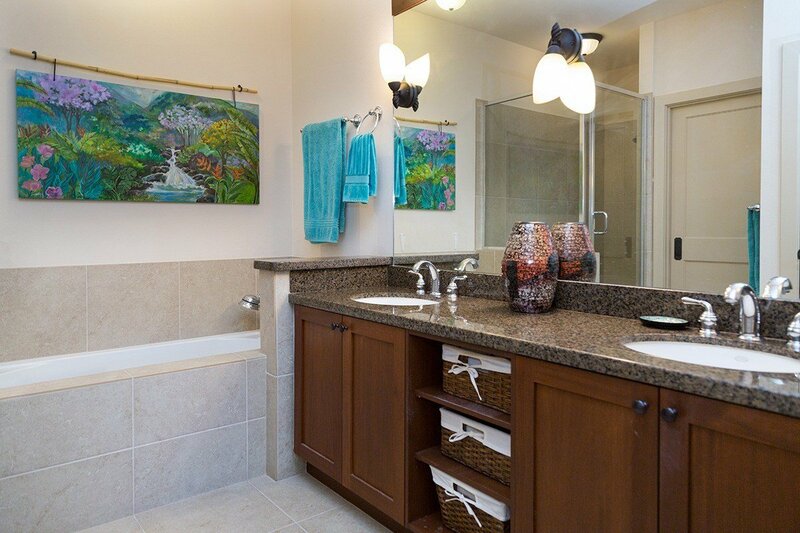 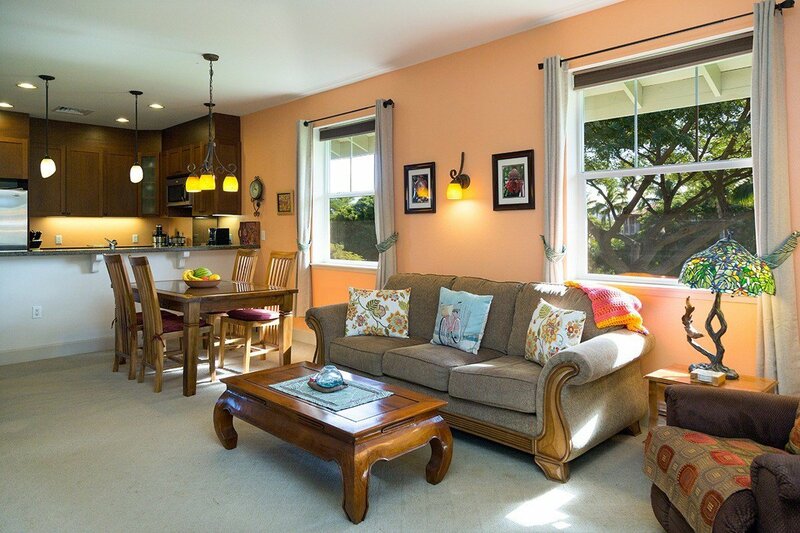 Halii Kai 21A is an upstairs corner two bedroom, two bath resort condo at Waikoloa Beach Resort. 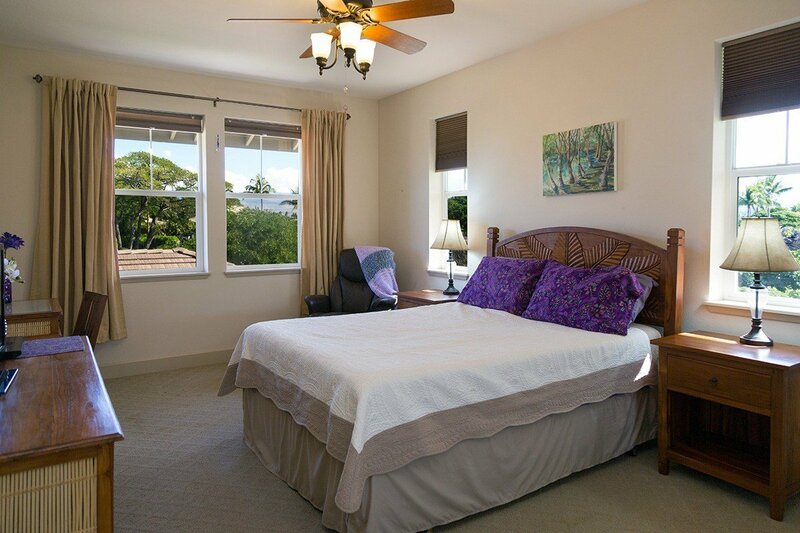 It has a prime light-filled location at the end of the Coconut Grove community area, with no building next to you. 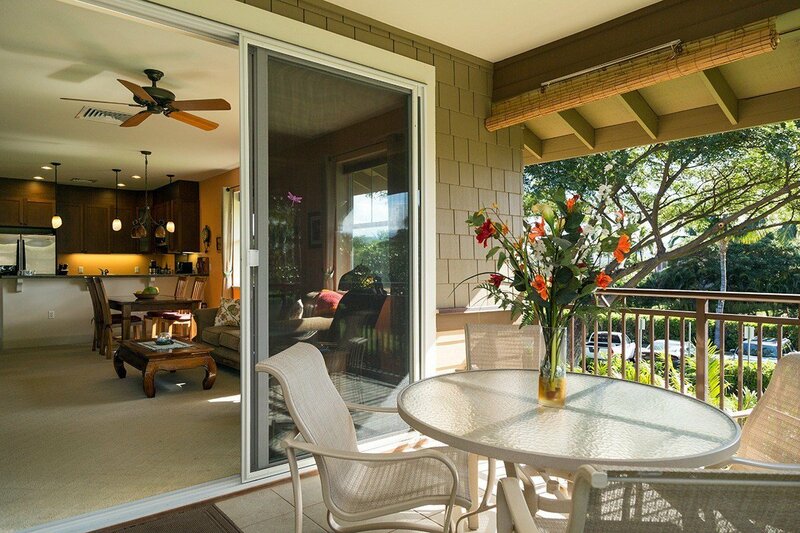 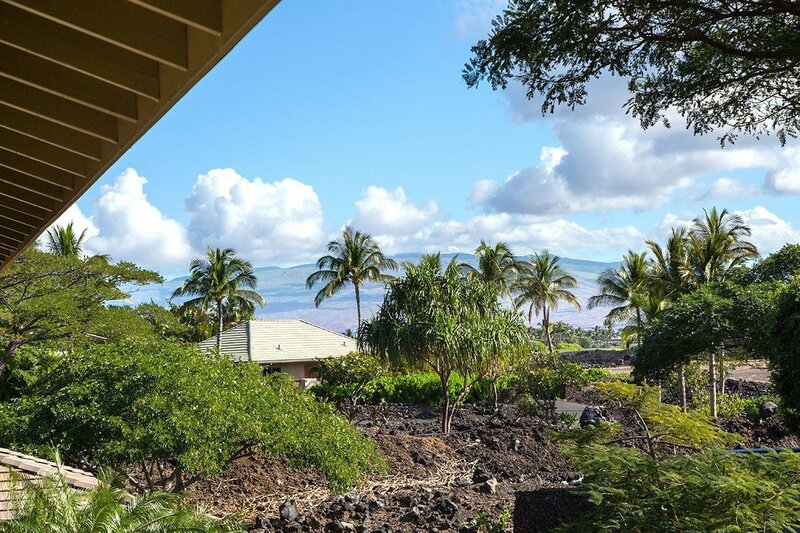 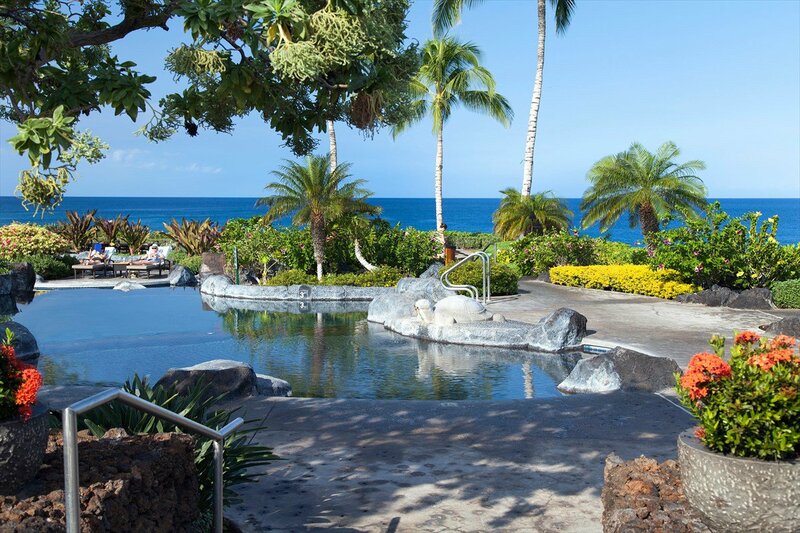 Enjoy views of the Kohala mountains from your great room and lanai, with large trees providing privacy. 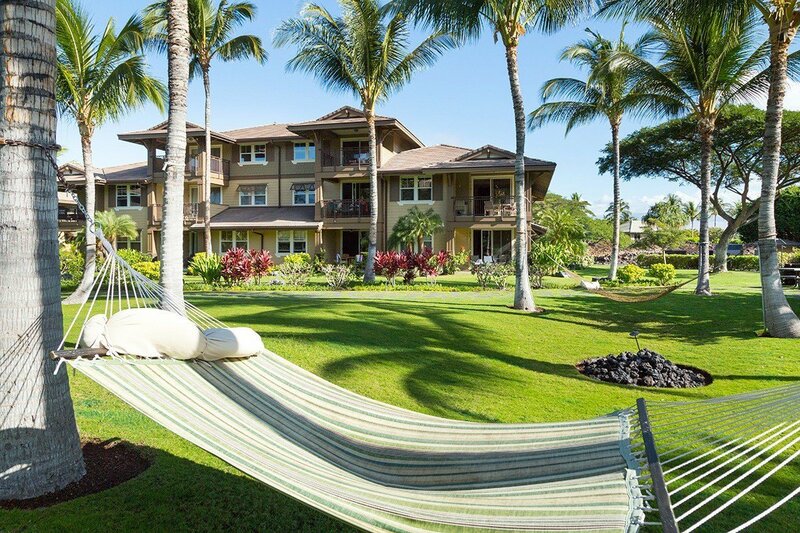 Halii Kai condos are known for their quality construction and for the oceanfront amenities. 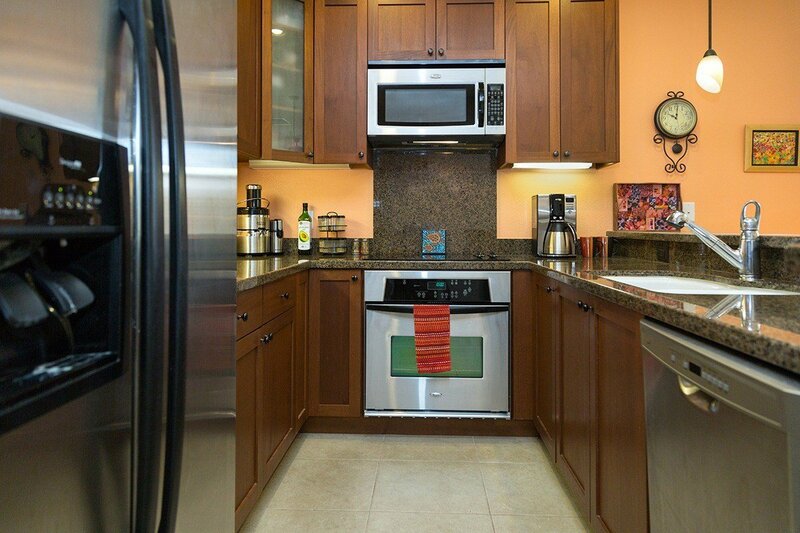 Cooking is a pleasure in the well-appointed kitchen, with its granite counters, stainless appliances and ample cabinets of African mahogany. 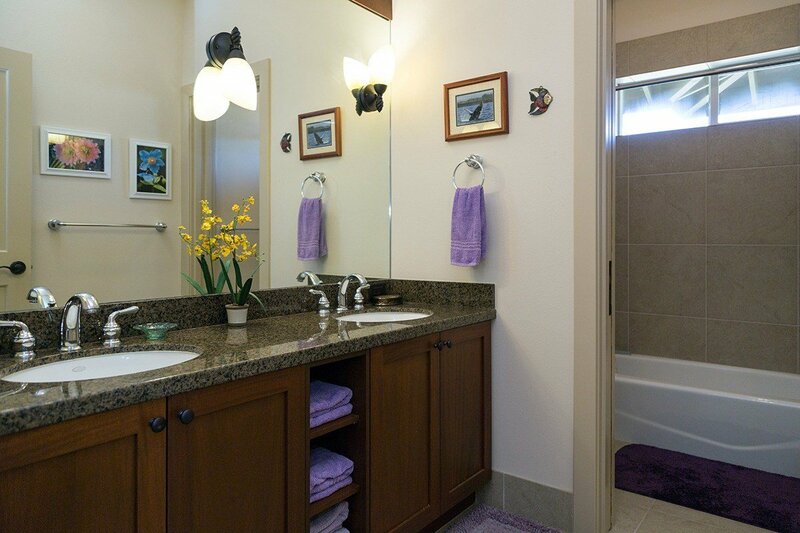 This two-bedroom condo has a huge second bedroom, essentially creating two master suites for privacy and comfort. 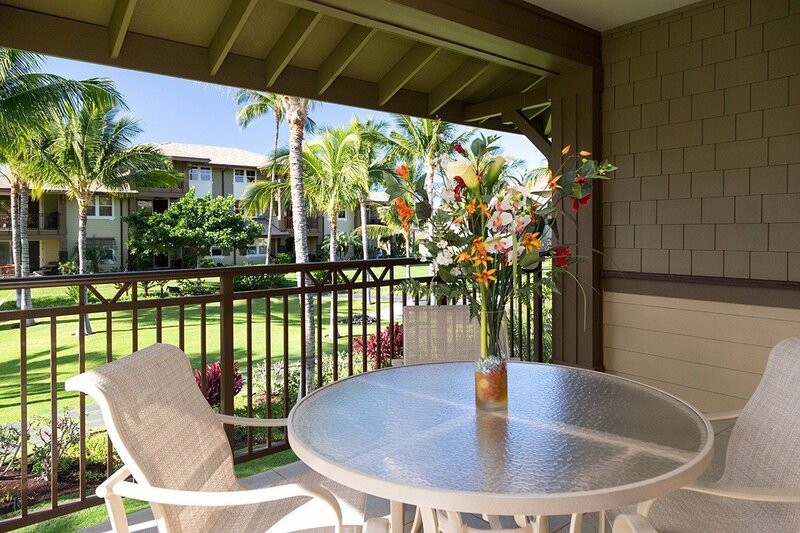 Never rented by its original owners, Halii Kai 21A is beautifully furnished and in pristine condition. 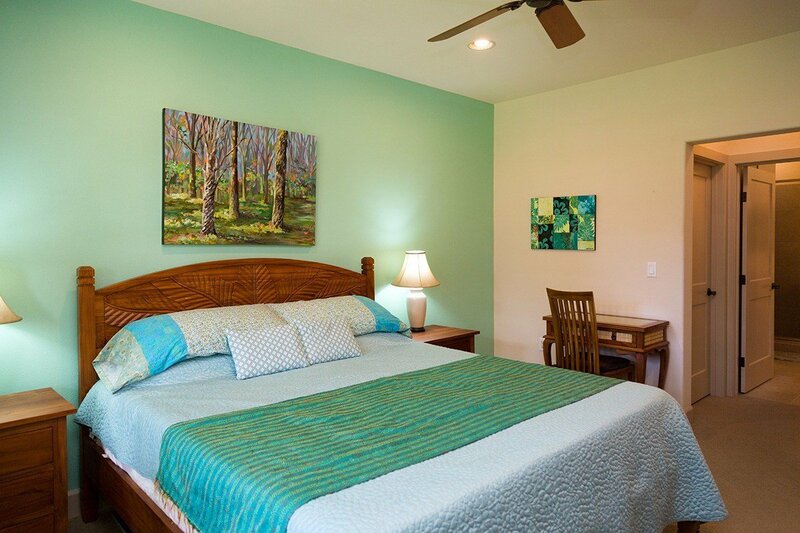 Furnishings included with an acceptable offer so you can move right in and enjoy the resort lifestyle! 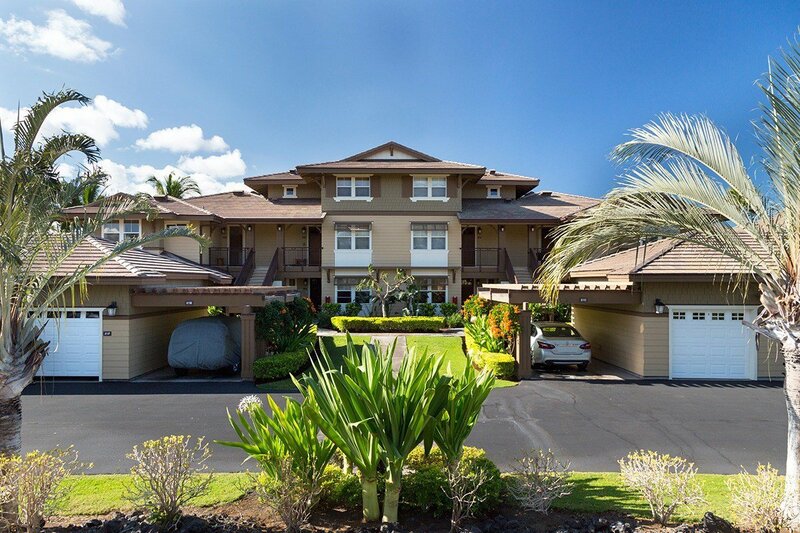 Halii Kai is a low-density gated oceanfront condominium neighborhood with a strong sense of community among owners, some of whom are full-time residents. 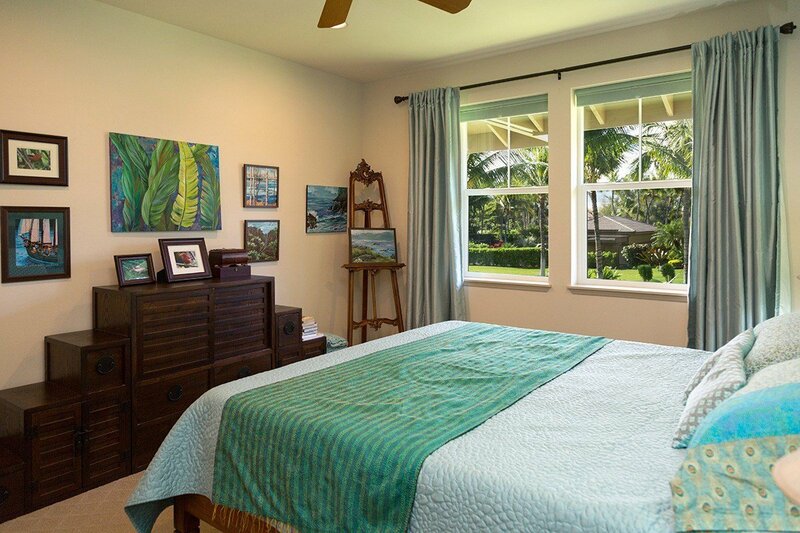 Vacation rentals are allowed and visitors rave about Halii Kai on sites like TripAdvisor.com. 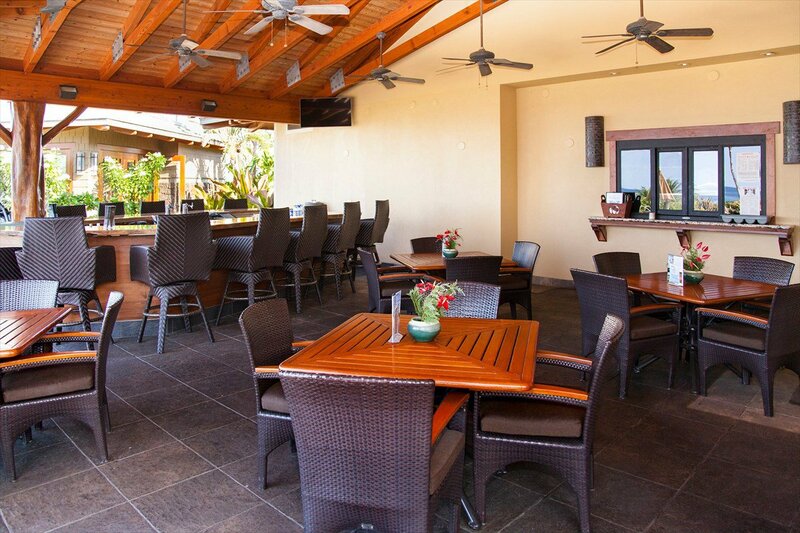 Stroll to the private Ocean Club Bar & Grill for their signature mai tai and full dining menu. 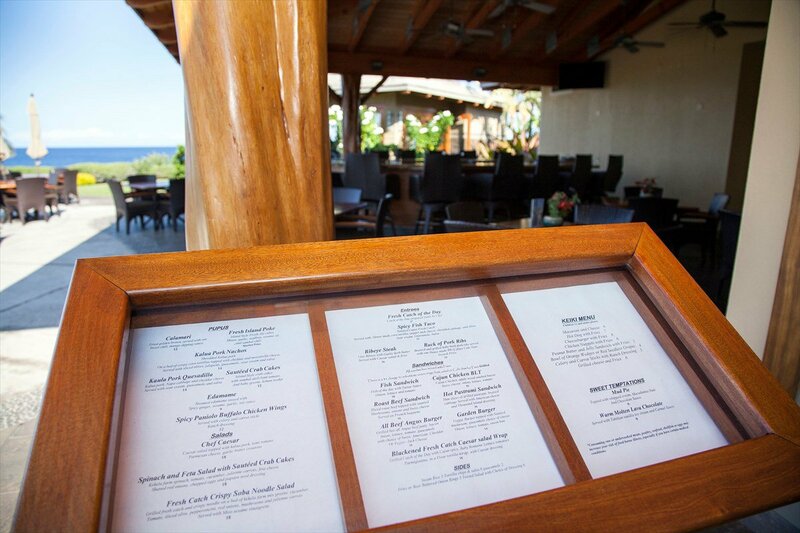 This is one of the best spots on the coast for whale watching in season and sunsets year round! 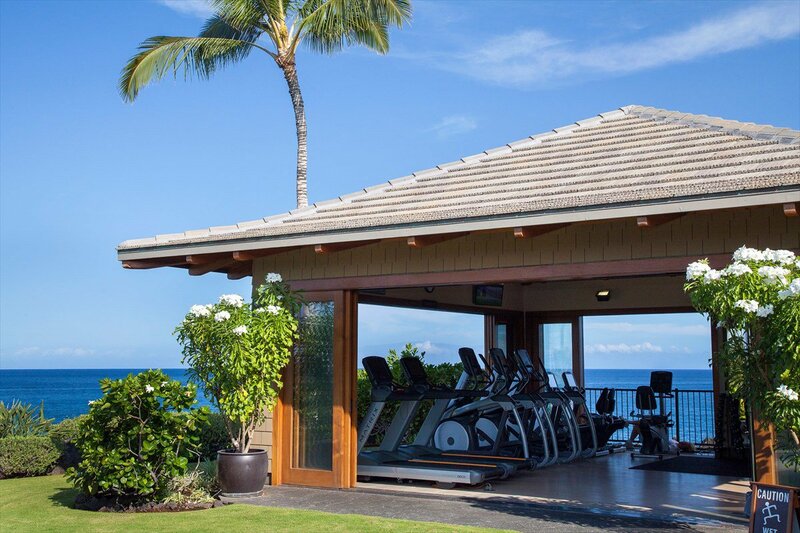 Besides the oceanfront club, on site amenities include a tennis court and half basketball court. 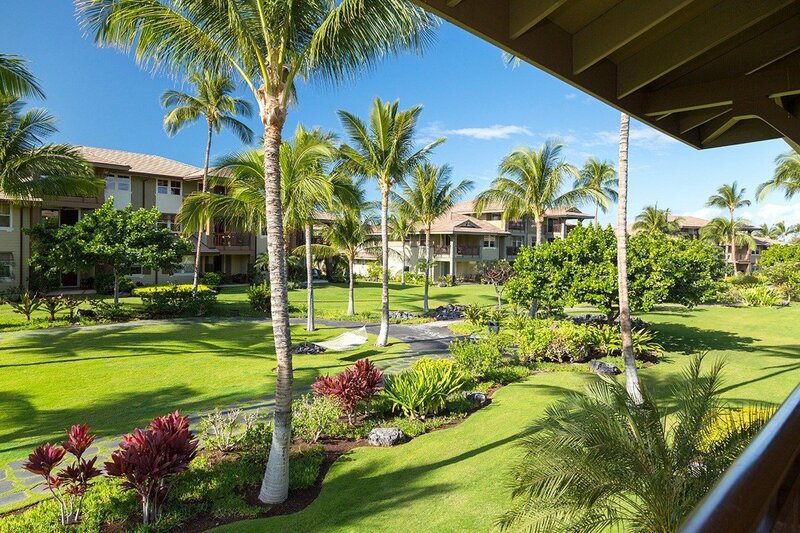 Waikoloa Beach Resort features two golf courses and two shopping centers with restaurants, a luxury movie theatre, and a schedule of live entertainment. 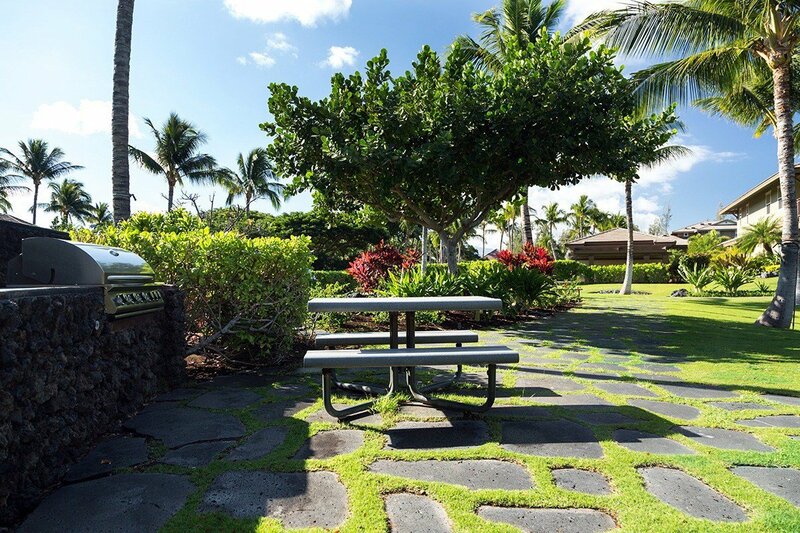 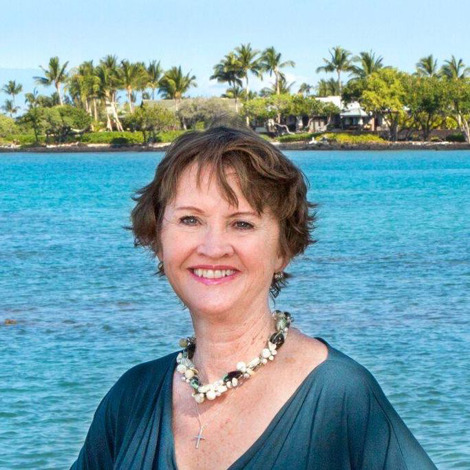 The white sand beach at Anaehoomalu Bay is a short drive away within the resort and the rest of the top-rated Kohala Coast beaches are just a bit further up the highway for those who want to explore.